While Apple’s iLife and iWork software suites are considerably cheaper than competing products from rival companies, there’s still a bunch of people who would rather download them illegally than have to fork out the $20 fee for each app. And believe it or not, those who do will get a free upgrade to the latest versions direct from Apple. When the Cupertino company pushed out its latest OS X apps following the iPad event earlier this week, anyone who had already installed the apps on their Mac was entitled to the latest version for free — even if the were using trial software, or they had downloaded the apps illegally. Apple knows this, and it says it wasn’t just a bug. It also accepts that it’s easy to pirate its software — but it would rather trust you not to than implement some cumbersome anti-piracy feature. When you buy a piece of software from Microsoft — and indeed most other companies — it comes with a serial number that you need to enter during the installation process to activate the app. In most cases, this prevents people from downloading the software for free illegally, because those without a serial key cannot use it. But Apple doesn’t like to do that. In an effort to keep things simple, it would rather not force you to enter serial keys and then hold onto them in case you need them again in the future. As a result, its apps have always been pretty easy to pirate, because all you need are the files for installation. And those who did pirate iWork or iLife apps ahead of Apple’s event this week may have been surprised to see they were entitled to the latest release for free via the Mac App Store. So their illegitimate, illegal copies are now perfectly good ones. But Apple doesn’t seem to bothered about that. Of course, Apple’s bread and butter isn’t necessarily its software. Sure, its operating systems are hugely important — and they’re one of the reasons why Mac and iOS devices are so popular — but now they’re completely free. As for its apps, they’re almost all terrific, and they’re hugely popular, but Apple doesn’t need to make money from them — that’s why they’re so cheap. So, rather than implement annoying anti-piracy measures that will prevent someone from using one of its apps without a serial code, it would rather just trust its user base to do the right thing and pay for its software. And of course, that’s what we would encourage you to do. 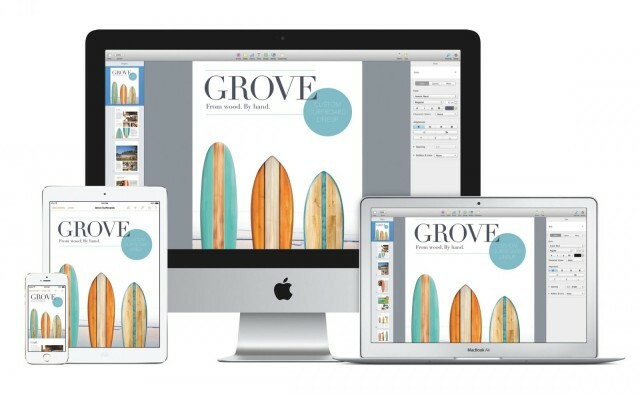 Apple’s apps — particularly those in the iWork and iLife suites — are terrific. That’s why they’re all at the top of the Mac App Store’s charts this week. If you want to use them, and you’re not entitled to a free copy because you didn’t buy a new Mac, just pay for them. They’re worth every penny, and you’ll feel much better about yourself.